One of the best new features of ArcGIS 9.3.1 is the Map Service Publishing toolbar in ArcMap. This tool helps you analyze your maps to see what is slowing the map down. No longer are you having to look for the needle in the haystack. You just activate the toolbar and hit analyze. 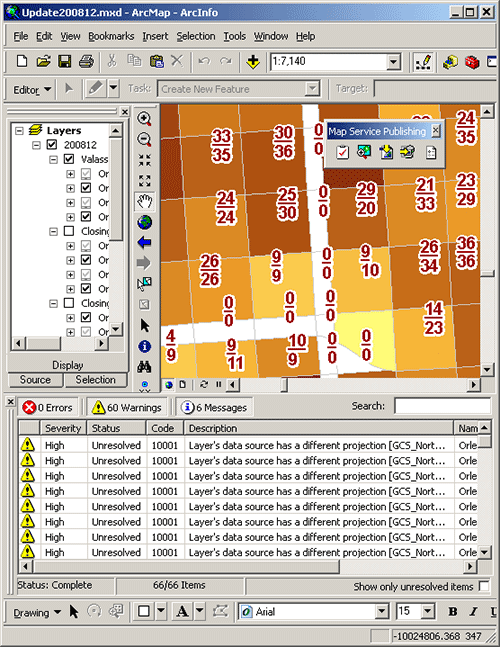 Then ArcMap returns all the errors and warnings associated with your mxd. The new Map Service Publishing toolbar in action. If you double click on any of the “issues” it will take you to documentation explaining the problem and how to fix it. ArcGIS Server documentation helps figure out how to fix problems. One other feature about the toolbar which is a big help is the preview. You can preview any map on how it would be served in ArcGIS Server, from right inside ArcMap. You also get a timer to show how long it took to generate that request. This is of course helpful for the ArcGIS Server services, but can even be used to speed up ArcMap documents that are only going to be consumed on the desktop. If you’ve been working with a mxd that seems to be loading slowly, now you have the tools you need to debug why the map isn’t performing quickly enough. The Preview ArcGIS Server window allows users to determine the speed at which their maps are rendering. 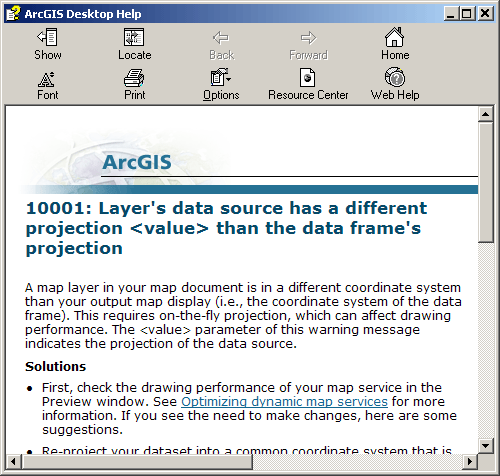 The toolbar also allows you to generate the Map Service Definition (.msd) files and even publish directly to ArcGIS Server from ArcMap (bypassing the need to go to ArcCatalog or the web manager). The Map Service Publishing toolbar is really a great addition to the ESRI workflows, both Desktop and Server. Looking back at some of our existing map services we had authored with ArcGIS Server, I was amazed at how easy it was to discover the problems and then address them. 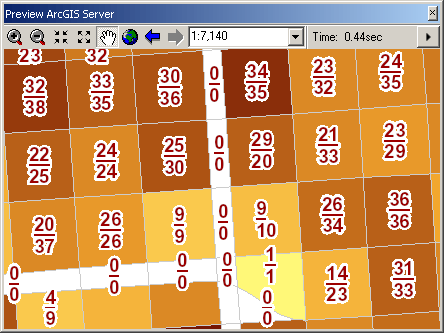 Coupled with the new MSD files, ArcGIS Server is really a speed demon these days.